In the world there is a diversity of religions that practice customs and traditions based on the faith they profess. Such is the case of the sacrament of Baptism by the Roman Catholic, Anglican and Orthodox churches, who are attached to the sacred scriptures apply to every person so that "born in water and spirit" to the life of Christ and thus be able to enter the Kingdom from the heaven. For this reason the sacrament is applied to people during the first months of life with the firm purpose of forming them from an early age to the Christian life. 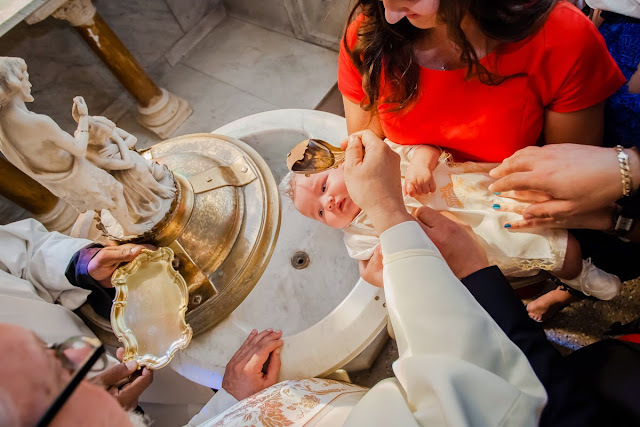 It is the first religious act in which the baby participates and therefore the parents and relatives are dedicated to organize the child's welcome to the world of Christ. Date, sponsors, costumes and place are the first activities that are scheduled before the event. Subsequently, it is decided whether a festive activity will be held in honor of the special day or a small family reunion. During the religious act, a series of rituals and symbolic activities of great importance are carried out so that the participants can imagine what usually happens to those baptized by the action of God, but that we can not see directly. That is why parents, godparents and relatives want to remember this great day forever in which the baby passes from death to life, from sin to grace. And what better way to record those unique moments than with photography and video? It can be done by a family member and friend and although you may be fond of photography, the results will not be the same as those of a professional photographer for a variety of reasons such as techniques, lighting, equipment, skill, among others. That is why it is best to go to professional photographers capable of capturing moments as significant as this that transcends generations. In this case, you have the team of Artview Studios, a solid and well-known company in New York for its impeccable portfolio of photographic and videographic works that undoubtedly is here to stay. We apply the best techniques so that the images result in full color and with total clarity even in difficult moments of captures for example when the baby is receiving the sacrament in which we normally use natural light since the flash normally bothers the child and the use of it could be a real disaster. In addition to this great event, we do work for: Weddings, Fifteen Years, Anniversaries, Baby Shower, Corporate, Advertising Photography and many more that we invite you to know browsing our website or contacting us through our communication channels.